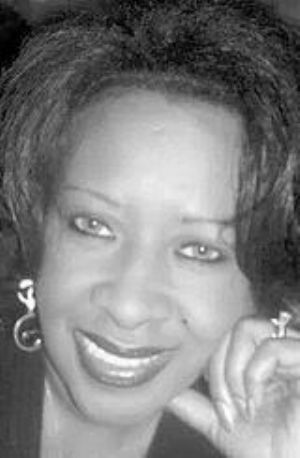 WASHINGTON, D.C. — Ruthie Mae Turner, 66, of Washington, formerly of Cumberland, left this life after a long illness on Sunday, Jan. 19, 2014, at the Howard County General Hospital. Born Feb. 16, 1947 in Cumberland, Mrs. Turner was the daughter of Luvernie York, Cumberland and the late Jesse York Sr. She was also preceded in death her stepfather, Jacob Taylor; her brothers, Jesse York Jr., Luke York, and John York Sr., and her sister, Everland Margaret York. Shortly after Ruthie left high school, she attended the Allegany College for one year before joining the Naval Hospital Corps. After her discharge, she moved to the D.C. area to pursue a career in banking lasting for 35 years, where she retired from the Signet Bank. She made a name for herself in the banking industry by working with the seniors and the homeless. In 2008, she held the title of Ms. Senior D.C. Ruthie founded and served as the President of the Girlfriends Club, which started as a social club, but turned into a club that mentored to the nursing homes and assisted living facilities. She also served as a member of the order of the Eastern Stars. Ruthie was an active member of the Gethsemane Baptist Church where she served as a member of the Dance and Nurse Ministry. Ruthie was very aggressive in changing the perception of seniors and encouraging them to make the rest of their lives the best of their lives. Besides her mother, Ruthie is survived by her husband of 17 years, Gregory Turner; and her daughters, Shantrella York, Cumberland, and Jacqueline Campbell, Columbia. She also leaves behind her granddaughter, Shanel Arnold; her grandsons, Gregory and Jordan Campbell; her great-granddaughters, Lyric and Loyal Arnold. Also surviving Ruthie are her three brothers, James T. York, David York and Daniel L. York, Cumberland; her sisters, Laverne Monroe and Darlene D. York, Cumberland; her brother-in-law, Eric Turner and wife, Sonya; her sister-in-law, Stephanie Turner; her best friend, Ollie Thomas, as well as a host of other family members and friends. A funeral service will be conducted at the funeral home on Tuesday, Jan. 28, 2014, at 11 am. with the Reverend Alfred Deas Jr. and the Reverend Floyd Bender officiating.